MONIR THOUGHT: Generate all possible permutations in Java using recursion. This is a partial tree, started only with 1. 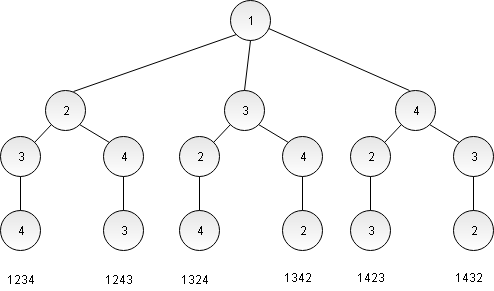 The complete tree has 3 more branches. * Recursively generates all permutations. * Read Input from Standard Input. This is a pretty easy solution if you master in backtracking. As you see, there are some duplicate items are produced, which need to be removed. I am sure, you can do it.